The coolest remote car ever, it can jump and do all kinds of tricks. Even my husband loves it. Very good toy, but the package was so poorly packed, and because of this it was damaged. But everything is working well. It works very well for the price. 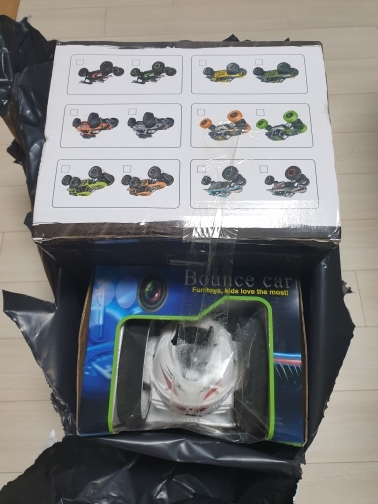 The product came within a week and in great condition. The remote works well and the robot does everything its supposed to do. Just a great product. Спасибо за игрушку, отличная штука! The goods arrived safely in 17 days after I ordered. It does not look sturdy, but it works well. We are satisfied with fast delivery and good price / performance. In original package, working as advertised! Thank you! I already have one of these cars and love it so much I bought this one as a gift. Just received it…almost take a month to receive it. Box kinda damaged when we received it. Didn’t try yet! Hope it works! Really very nice, all good, thank you!